Blur Studio artist Santhosh Koneru discusses his award-winning short The Legion and ambitious new project The Vikings, and the sacrifices faced by young creatives keen to make the transition from VFX to directing. Santhosh Koneru always knew he wanted to be a director, creating his first CG animation, award-winning science-fiction short The Legion, while he was still a student in Los Angeles. Today, despite also working full time at international VFX firm Blur Studio – where his recent projects include the trailers for Far Cry 5 and LawBreakers – the young CG artist is hard at work on a new directorial project, The Vikings: a series of five interconnected cinematics, being created by a team of 20 volunteers. We caught up with Santhosh to talk about his work, about his determination to make the move from visual effects to directing – and the personal sacrifices he has made in order to do so. Santhosh’s first foray into directing was on The Legion (above), the award-winning one-minute cinematic he created while still a student at Hollywood’s Gnomon – School of Visual Effects, Games and Animation. 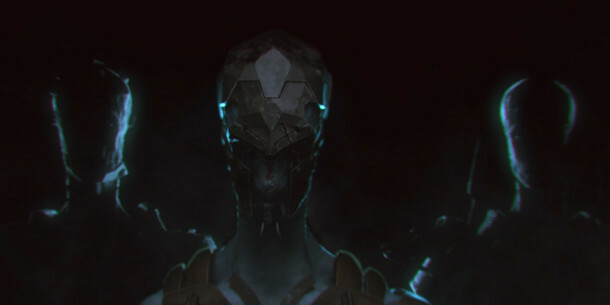 Although Gnomon has a reputation as one of the CG industry’s leading training institutions, Santhosh says that he applied to the school specifically in order to learn film-making. “I knew I wanted to be a director, and the only way to do that was to learn what goes on in VFX,” he says. Enrolling on Gnomon’s two-year generalist program, Santhosh was initially drawn to environment modelling but, mindful of his long-term goals, he later branched out into character work. While Santhosh initially created a conventional demo reel as part of his training, he felt that he also needed to create a showcase for his directorial work. Instead, Santhosh embarked on a far more ambitious project. Rather than using the time set aside at the end of the course to polish his reel, he resolved to create an entire animated short. That ‘something big’ was The Legion: an atmospheric science-fiction piece that blended the atmosphere of movies like Prometheus with elements from classical mythology. Completed over a 10-week period, the project tested Santhosh’s production skills to their limits. Although he recruited seven of his classmates to help out – three concept designers, two additional modellers, and two FX artists – the bulk of the work fell to the young director. In all, Santhosh was responsible for modelling the main character and the environments, texturing, rigging, animation, motion capture – you can see a clip from the shoot above – and sound mixing. That schedule was made even more intensive by the fact that at the time, Santhosh was working at VFX facility Electric Theatre Collective three days a week as part of Gnomon’s internship program. “I’d finish work at 7pm, come to Gnomon at 8pm, then work on The Legion until midnight,” he says. “The rest of the week, I’d work on The Legion 16 hours a day. His hard work was soon rewarded: The Legion was awarded the Grand Prize at Gnomon’s Best of Term awards: historically, often the springboard to international success. Equally importantly, the short also helped land Santhosh the offer of a full-time job at Blur Studio. One of Santhosh’s recent projects for Blur Studio: a cinematic for Ubisoft’s upcoming Far Cry 5. Currently working remotely for the studio from his native India, Santhosh has now begun work on a new – and even more ambitious – personal project, The Vikings. Like The Legion, The Vikings blends science-fiction and world mythology. The project riffs on the idea of ‘ancient aliens’: that the beings considered gods by our ancestors might actually be extraterrestrial rather than divine. “I wanted to give a rational explanation for why people do certain things in certain religions, by showing their gods as aliens or alien hybrids who protect them, as silent guardians,” explains Santhosh. Rather than a single short, The Vikings is planned as a series of five linked cinematics, the first four introducing the protagonists, and the fifth the main villain, culminating in a climactic battle. “Initially, I thought of having cutscenes to show the characters, but that wouldn’t do them justice, particularly since the final cinematic is so adrenaline-filled,” he says. A character test render from The Vikings, Santhosh’s latest personal project. For the project, Santhosh has recruited a team of 20 collaborators: mainly friends from Gnomon who now work professionally in the industry. Santhosh also established the production pipeline for the work, using a range of industry-standard tools: ZBrush for character and environment sculpting, Maya for UV mapping, rigging and animation, Substance Painter and Mari for texture painting, V-Ray for rendering, and Nuke for compositing. 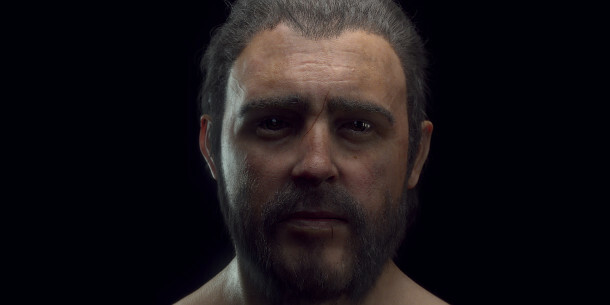 As well as creating assets by hand, the team is also using photogrammetry tool PhotoScan to generate environment assets and character models, with five of the artists doubling as actors. Once the asset build for The Vikings is complete, Santhosh plans to hold a motion-capture shoot in Los Angeles to record final character animation data. Santhosh plans to use down-resed versions of the production assets, running inside Unreal Engine, to provide a real-time preview of the motion capture. To display the data on set, he hopes to make use of an innovative new pipeline that takes advantage of new advances in augmented reality. “I saw the new AR technology that Apple is introducing in its iPads, and it made me think about combining VR and AR for the shoot,” he says. The shoot has already attracted industry support: on hearing that The Vikings is entirely self-funded, Motion Workshop offered the team a 50% discount on its Shadow mocap suits. Ephere has also supplied free licences of Ornatrix, its hair-generation software, for the 3D work. Render passes for The Vikings character. 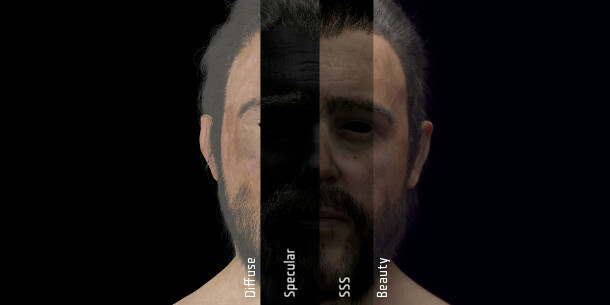 Left to right: diffuse, specular, subsurface scattering and beauty. Ornatrix developer Ephere has provided its hair-generation software for use on the project free of charge. Santhosh aims to complete the first cinematic within two months, then the remainder by November 2018. The shorts will be released on his Vimeo channel, and assets and breakdowns on a separate project website. “I’m trying to use the project as a pitch for a movie, so I’m trying to get everything done technically as well as artistically,” he says. During the work, Santhosh has also been calling on the expertise of his colleagues at Blur. But working full-time for a leading visual effects facility while simultaneously trying to complete such an ambitious personal project has, once again, left Santhosh working some very unsociable hours.